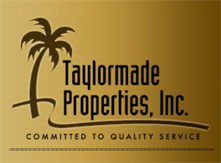 Westchase CDD Info - Taylormade Properties, Inc. The debt repayment portion of the CDD bond in Westchase West will mature (meaning the last payment will be due) in 2011. It is a 20 year bond. The amount of the CDD bond payment varies depending on the neighborhood in which a home is located. Westchase East is actually 4 separate 20 year bonds issued at 4 different times. The remaining duration on each bond varies depending upon which bond. Greensprings, Greenhedges, Castleford, Stamford, Baybridge, Wakesbridge, Chelmsford, Stonebridge, Sturbridge. Greencrest, Greenmont, Abbotsford, Brentford, Kingsford, Stockbridge, Woodbridge. This bond will mature in 2017. Village Green, The Vineyards, Enclave, Greenpointe and parts of West Park Village. This bond will mature in 2019.